Many stationary-head DATs for business use were introduced as vital pieces of equipment to recording studios and other music production sites. The Sony DASH machines and Mitsubishi PD machines were competing for the market and quickly replaced the analogue master recorders and multichannel tape recorders from the West that had dominated the field of business-use recorders. Anmerkung : Auch Telefunken und Studer sowie Kudelsky (NAGRA) und Stellavox versuchten sich an einer 24-Kanal Digital Maschine. Und selbstverständlich waren auch die Amerikaner mit dabei. Ampex kooperierte bereits mit SONY. MCI wurde von SONY aufgekauft und geschlossen. The following are the main reasons why Japan became a major power in the age of digitalisation. Anmerkung : Was der Autor hier nicht anspricht ist : Aus Amerika wurde dann bekannt, daß das japanische MITI (Ministerium) die technologischen Entwicklungen mit gigantischen Steuermitteln "sehr intensiv" unterstützt hatte und viele Flops aufgefangen hatte. Da war unser 500 Millionen DM EUREKA HDTV-Projekt ein Tropfen auf den heißen Stein. Anmerkung 2 : Aus unseren Breitengraden konnten wir selbst herausfinden, daß die Mitteleuropäer ziemlich satt waren und die Gewerkschaften mit immer neuen Forderungen ein Übriges dazu beitrugen, die kleinen und großen Firmen zu erpressen. Dann wurden Forschungsabteilungen eben geschlossen oder eingedampft. Die AEG/Telefunken war bereits vor dem 2-Weltkrieg unterkapitalisiert und jede erzwungene Lohnerhöhung ließ bei den kreditgebenden Banken die Alarmglocken schlagen, neue Gelder zur Verfügung zu stellen. Das lief in Japan völlig anders, weil die Politik ein großes Interesse an einer profitablen Weltmarktstellung der 80 Millionen Insel hatte. Tape recorders became increasingly digitalised throughout the world of business machines; by the mid-1980s, studios and broadcasters throughout the world had replaced their machines en mass. There were also growing opportunities for consumers to experience digital audio sound. While appreciation for digital audio steadily grew among music lovers, developing the technology for consumer use was considered too diffcult. DATs for business use were far more expensive than the existing analogue machines, requiring far more parts. Being open-reel machines, they were also lagging behind other consumer-use machines in terms of their user-friendliness. There was no real expectation that they would ever become popular-use machines. Despite having developed stationary-head machines for business use and gained major footholds in the business market with their DASH and PD formats, even Sony and Matsushita struggled to develop a machine for consumer use. At the same time, VTR for home use was entering its final stage of development. “Betamax” was announced and released in 1975, followed by “VHS” the following year in 1976. Home-use VTR made its debut with high hopes of making it big. Machines capable of recording 1-2 hour TV programmes entered the market at affordable prices. These were superior products with much thought put into their user-friendliness, such as having a relatively small cartridge size with half-inch tape. Admittedly, earlier VTR cartridges had been seen, in the form of the “U-matic” cartridge in 1971. At ¾-inch, the tape in these machines was wider than in the Betamax and VHS machines. This meant that the cartridges and machines were larger and more expensive, so they did not become popular for home use. Nevertheless, they began to be used by businesses such as broadcasters and came to play a leading role in Electronic News Gathering (ENG). The team at Sony’s research and technology division began to wonder whether a digital audio recorder could be made using a household VTR as a recorder. The first DAT trialled by the NHK was a business-use VTR; while it was not the usual use for the VTR mechanism, with a little effort the VTR itself could be made to record a digital signal. While the price of household VTRs was expected to eventually go down, the necessary alterations to make them into dedicated DATs meant that there would probably be no cost benefits to mass production. Development promptly began on a standalone digital audio circuit, with the idea that if such a machine could be simply used as a recorder without touching the VTR technology, the result would be a household DAT that was affordable to general users. Since the purpose of VTRs was to record television signals, they had horizontal and vertical blanking intervals; this meant that they were in principle not really suited (nicht wirklich geeignet) to recording continuous signals such as audio signals. Digital audio involves treating an audio signal as data, meaning that compression/expansion occurs relatively freely on the time axis. In practice, however, it was more difficult than expected due to digital data processing taking up a lot of memory and costing more than anticipated. Furthermore, the idea of error correction had not been thought through. Dropout (signal loss) on a VTR has no major effect on the picture, but it produces a catastrophic amount of noise. However, although the latest digital technology was still lacking in many areas, Sony released the consumer-use PCM processor in 1977, which worked directly connected to a VTR, kicking off the popularisation of digital audio machines for general users (Fig. 14.7). Digital recording had been limited to the world of business, but the advent of the PCM processor meant that it could now be enjoyed in the home as well. As general users came into increasingly more frequent contact with digital audio with this machine, its sound quality began to receive more attention in publications such as audio magazines. This earned recognition (die Erkenntnis) of digital audio as something with appeal and potential, and raised expectations regarding it. Around the same time (1979), the audio world was ablaze with news of developments and format disputes in relation to digital audio discs, which later led to the Compact Disc. As expectations regarding digital audio grew, naturally, so did the idea to digitalise the Compact Cassette, the leading magnetic recording system for consumers. In fact, as the CD was being developed, audio companies were researching digital tape recorders for consumer use; however, by the early 1980s, none of them had made it any further than the laboratory stage. Even amidst this race to develop a digital tape recorder for consumer use, competition was raging between the stationary-head (S-DAT) format, which focused on the audio aspect, and the rotating-head (R-DAT) format, which aimed to improve on the existing VTR technology (Figs. 14.8, 14.9). The CD – a digital version of the existing analogue records – entered the market in 1982 and immediately took hold as a music storage medium. CDs and CD players were a system with overall appeal that not only offered good sound quality, but also a novel shape, superior digital operability using TOC (Inhaltsverzeichnis) data and the convenience of random access. The successful introduction of the CD intensifed the race to develop digital recorders for consumer use. The term “DAT (Digital Audio Tape-recorder)” seems to have taken hold around this time to refer to digital audio tape recorders for consumer use. Developers thought up ideas to combine the far superior sound quality of digital audio with an extra recording area for additional information, called sub-code, to vastly improve the user-friendliness of the DAT. This led to the proposal of new, highly-advanced, highly-desirable specifications. In terms of performance, the DAT outdid the CD with a sampling frequency of 48kHz and 16bit quantisation. It also offered two hours of continuous recording on a cartridge smaller than the Compact Cassette – it truly was a dream machine. However, companies worked on it separately, meaning a large number of incompatible formats, which prevented it from becoming popular. A major factor to the success of the Compact Cassette was maintaining strict compatibility; all companies involved understood the importance of having unified standards. Accordingly, the industry organised a “DAT Discussion Panel” in 1983 to work on unifying standards. A comparison was made between the R-DAT and S-DAT formats and uniform standards were formulated for both formats. Around two years later, in 1985, technical specifcations were issued (Tables 14.2, 14.3) for S-DAT and R-DAT, based on the results of various investigations and experiments. Having compared the two formats, a comment was passed acknowledging the advantage of R-DAT in terms of short-term implementation. Consequently, R-DAT was frst commercialised as a "DAT" for consumer use (Figs. 14.10, 14.11). The following section discusses the development of each DAT format for consumer use. Confident in its accumulation of tape recorder technology, Sony’s research and technology division set about researching and developing a consumer-use DAT in earnest in the late 1970s. At the time, the question of what technology could be used to achieve a consumer-use DAT was a topic of heated debate among audio engineers. There was no obvious answer, which in itself often let to sharply opposing views among engineers. There were several opposing groups of engineers at Sony, each advocating its own opinion. The path Sony took was to have these groups develop three separate formats concurrently. This was the archetype for the S-DAT format, based on the same tape running system as the existing cassettes. This head could record multiple tracks at once, meaning it was capable of handling the necessary volume of data. The main aim of this development was to produce an ultra-precise recording/ playback head capable of recording around 20 tracks per side with a 3.8mm tape like the Compact Cassette. To read an accurate signal from the countless number of narrow tracks, the playback head used the magnetoresistance (MR) effect. Developers worked on an MR head that could read the changes in magnetism on the tape as changes in resistance in the MR element. Both the playback head and recording head utilised a new innovation called the “thin film head”, made with semiconductor processing technology. This manufacturing process was later used to create multichannel DAT heads for business use. Fig. 14.12. shows the S-DAT track pattern. Philips later developed the S-DAT idea into the Digital Compact Cassette (DCC) system. Since the S-DAT system had 20 tracks for the main audio data, it required a very precise tape running system and advanced signal processing. The DCC system had less than half the number of tracks, allowing the heads and the overall system to be simplifed. Any performance limitations due to the reduced recording density could be compensated for with “data compression technology”. This was a second-generation DAT with sound quality rivalling that of the CD. The cassettes were also (mechanically) compatible with the Compact Cassette system and there was a standard in place to ensure that a DCC machine could record and play DCCs as well as play (analog) Compact Cassettes. However, the DCC lost out to the MD and disappeared off the market within a short space of time (Fig. 14.13). The so-called R-DAT format was used by a minority of companies in the industry who hoped to produce a consumer-use DAT with this format. The key part in the rotary head system was the rotary drum, which included the heads. This required redeveloping the entire system from scratch. It was a major hurdle for manufacturers to develop a dedicated mechanism when they had only ever built the existing style of tape recorders and had never worked with a helical scan tape drive system. Generally, it takes time to develop a new mechanism, building up experience and testing prototypes. There was much more involved in this development than for the stationary head, which only required remodelling existing parts to make them smaller and concentrating on producing a multi-channel head. Sony was working on an 8mm video around the same time and pushed forward with DAT development in this format. It was fairly straightforward for the audio engineers to learn and use the unfamiliar rotary head technology, such as the various components and the tape drive technology. The developers worked on a dedicated audio mechanism using VTR rotary head technology, taking care to simplify and downsize it to make it more appealing (Fig. 14.14). By making maximum use of existing technology, they were able to keep the development reliable and rational. The R-DAT system became a significant piece of recording equipment in its day. It had good functionality and performance and reached an adequate level of completeness as a consumer product quite early on, becoming recognised as the first DAT for consumer use. It was made into a series of products: decks, portable machines and professional equipment, and was sold all over the world. Anmerkung : Im Gegensatz zu anderen oben genannten Erfolgen der Japaner hier kein Wort davon, daß SONY's DAT im Prinzip gescheitert war, weil es in viel zu kurzem Abstand die beschreibbare CD gab und der weltweite Verkauf von den internationalen Musik-Labels mehrere Jahre lang böswillig verzögert wurde. The stationary-head S-DAT prototype (Fig.14.8) was announced in 1981, followed by the rotary-head R-DAT prototype (Fig. 14.9) in 1982. These formats continued to develop and were put up for examination at the “DAT Discussion Panel” with the aim of standardisation. While these developments in the digitalisation of the Compact Cassette continued, Sony’s research and technology division was working on another DAT format. The aim of this design was not just the minimum necessary development to improve sound quality through digitalisation, but rather to create an ambitious new product that used digitalisation technology to its maximum potential to achieve a level of miniaturisation thought impossible in a tape recorder, thus creating new value in the product. The product was the NT system, with a sampling frequency of 32kHz and 12-bit quantisation, capable of two hours of digital recording on an ultra-small cassette the size of a postage stamp. It was launched in 1992 as the “NT-1”. Housed in a tiny casing and powered by a single AA battery, the device was packed with a mechanism as small and precise as a watch as well as a circuit for every function from recording to playback to digital signal processing. The small size of the specially-developed tape was astounding; it even appeared in the 1994 Guinness Book of World Records as “the world’s smallest mass-produced tape” (Fig. 14.15). The product name “NT” was an acronym for “Non-Tracking”. The mechanism developed for this machine made full use of the distinct nature of digital data with a non-tracking rotary head system that traced the signal-recorded area (track) multiple times, reading only the necessary information without fully tracing the entire track. The mechanism then re-aligned this digital data along the time axis, producing the correct signal. The product name “NT” was an acronym for “Non-Tracking”. The ultra-small cassette itself had a number of clever ideas incorporated into it. The device also had a non-loading mechanism, whereby the drum on which the rotary heads were mounted was inserted into the cassette. The mechanism had to be miniaturised to achieve this (Fig. 14.16). With low electricity consumption in its electronic circuits as one of its goals, it offered astounding performance by running on a single AA battery. While this was a very technically ambitious development that fully incorporated digital technology and mechatronics, it did not succeed as a business venture. This was perhaps because the greater the detail, the more time it took to develop. It was released in 1992, the same year as the MiniDisc (MD); this was the era of second-generation digital recording systems using digital compression technology. The MD made full use of this compression technology and showed great promise for the future. This provided a good opportunity to get a number of interested parties thinking about the possibilities in switching to semiconductor memory recording media, which was still quite expensive at the time. Given its overwhelming recording and playback capabilities, the appearance of the consumer-use DAT was an epoch-making event in tape recorder history. The nature of digital recording meant that the content would not become corrupted through copying, which sparked a debate over so-called digital copyright issues. In 1987, CD shipments were outselling analogue records; CDs had become a major revenue source for the record industry. The appearance of the DAT, which could record CDs without losing any sound quality, inevitably presented a major threat to those with financial interests in the music content. Although tape recorders had typically been used up until that time to copy records onto Compact Cassette and listen to them on “headphone stereos” or car stereos, the established interpretation of music copyright in Japan allowed private recordings to be made for use within the household. A decision by the Supreme Court of the United States in the so-called “Betamax case” in 1984 held that home use of a VTR does not constitute copyright infringement. Rather than permitting copying, the decision interprets that it is lawful for consumers to use a VTR as technology that offers a time-shift function. Music/video copyright holders were becoming increasingly nervous about the growing spread of machines capable of making copies. Hardware developers for consumer-use DATs had given this matter some consideration; the first machine released had its specifcations set in such a way that it could not digitally record at 44.1kHz, the sampling frequency of CDs. However, this created a discord between those creating the content and those creating the hardware. It was difficult to dispel users’ doubts and misgivings, thus tripping (ausbremsen) the DAT up in its initial sprint. The hardware and content factions entered into a number of negotiations over what was arguably the world’s first digital copyright issue; by 1990 they had reached an agreement. The two essentials of the agreement were as follows. (1) Serial Copy Management System (SCMS) technology that restricts copying shall be used when making digital copies, preventing unlimited copies being made. (2) Each country shall develop legislation to apply a private copying levy system to digital recording equipment and media (such as tape). Rather than determining whether a single copy was prohibited/permitted, the SCMS prohibited/permitted copies according to the source of the recording. The system determined whether or not a digital copy was prohibited/permitted according to what the original source of a digital copy was. This meant that first-generation protected works (such as CDs) could be copied, but following generations could not be copied. The goal of this was to prevent a food of “copied works of the same quality as the original”, which was one of the advantages of digital recording. This was a compromise to uphold consumers’ right to private copying as well as alleviate the threat digital copying posed to copyright holders. Combining this system with a private copying levy system resulted in agreement over the frst digital copyright issue in history. Around the time that CDs were announced, Sony and Philips came up with a unified standard for transferring data between digital audio machines. This was called the Sony Philips Digital Interface (SP-DIF) and was used in business machines. After CDs hit the market, the standard was developed into the international standard IEC958 (now IEC60958) for consumer use. Specific SCMS information was transmitted along with audio data according to standard IEC958; this additional information included information pertaining to the generation of the content (music) being played. The information also determined the source machine and the destination machine and distinguished what kind of machine the digital data came from. and copied on SCMS machines. This agreement allowed digital copying from first-generation CDs only. In 1990, the DAT re-emerged as an SCMS-compatible device and was welcomed as the ultimate tape recorder by audiophiles, semi-professionals and even fully-fledged professionals. Later, second-generation digital recorders for MD, DCC and other media, aimed at a wider range of users, also started using this system that had been established for the DAT. The transition to SCMS was relatively smooth and a definite market for these recorders developed within a short space of time. The digital copyright debate started with the emergence of the DAT. The debate continued as computer technology and digital video technology (DVD, BD) advanced, with the protection and use of digital content becoming a major topic of concern. The most common style in which people listen to music today is of listening to music stored in a semiconductor memory on a small-scale, portable device through headphones. Small-scale, battery-operated devices enable people to listen to music while on the move, at a destination point, or individually at home through headphones. Making music personally accessible anytime, anywhere is quite a recent achievement that only became possible around 30 years ago with the appearance of the portable “headphone stereo”. The “Walkman” at that time was a dedicated playback tape player that used the very successful Compact Cassette format. This historic product revolutionised the style in which people listened to music and took hold with a culture of its own. Music listening developed as a means of household entertainment as technology developed in the 20th century. Related equipment and service industries were also very successful. It was not all that long after sound was first recorded on Edison’s phonograph that listening to music recordings on disc-style records became a popular style of enjoying music at home. As the record industry rose to the forefront of the times, there was a furry of development to try to improve the sound quality of recording and playback machines. As electrical technology advanced, research continued on the disc-style records to improve their sound quality and lengthen their playing time. This work reached completion in the late 1950s with the stereo LP record, which then came to play a long leading role in home audio. The theory behind the gramophone (record) was that of recording sound on mechanically etched grooves in the medium. 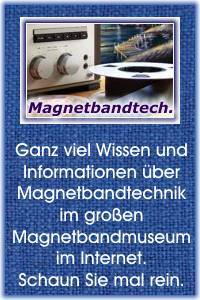 The idea of “magnetic recording”, wherein sound changes are captured as electrical changes and recorded as changes in induced magnetism, had been proposed and the steel wire magnetic recorder invented at the end of the 19th century. Magnetic recording developed in the form of the tape recorder in Germany prior to the Second World War. Following the war, the United States and other countries worked tireless on technology development, resulting in a superior recording machine, as discussed in Chapters 3 and 4 of this report. Research on magnetic recording was carried out in Japan quite early on as well, with results rivalling those of other countries, such as the discovery of AC bias and the development of new magnetic substances. Undoubtedly, this research and the accumulation of technology laid the foundation for developing the domestically-produced tape recorder into a major post-war industry. The Compact Cassette appeared in the mid-1960s and started on its journey towards becoming the de facto standard. The Compact Cassette performed poorly alongside the open-reel machines of the time and was thought to be unsuitable for music recording, one of the main purposes for recorders. Various Japanese manufacturers worked hard to solve this issue, developing new magnetic substances for the tape, new head materials, more precise mechanism designs, smaller motors for sound applications and improved technology for rotation control. These developments culminated in the cassette deck, proving that the Compact Cassette could perform satisfactorily as a music recorder and boosting the confidence of users and manufacturers alike in the potential of the Compact Cassette. While adhering to standards that emphasised compatibility in some respects prevented any short-lived innovations, working on precise developments in limited conditions to achieve superior function and performance perhaps suited the Japanese style of product development. Japanese manufacturers, brimming with confidence at having made major contributions to the development of the Compact Cassette, were competent enough to draft new standards and even formulated their own standards for the Microcassette and Elcaset in the 1970s. Japanese-made music equipment had its beginnings in the transistor radio. By the early 1970s, it had become a major export industry, with Japan sending out audio equipment far and wide on the global market. Manufacturers of mechanical and electrical components for the Compact Cassette tape recorder developed their technical capabilities, which boosted the potential for the product. The pace of product planning and development quickened, aimed at expanding the range of possible uses for the tape recorder by making it smaller and lighter. As the idea of portable audio made possible by a smaller and lighter product began to take hold, the development of integrated products such as the radio cassette player enabled users to build up their music collections on Compact Cassette. It was in these circumstances that the Walkman was created: a product designed to enable people to “listen to music, anytime, anywhere”. Although the Walkman was a type of tape recorder, the essential point was the concept of “listening to music, anytime, anywhere”. Other products using other media, such as CDs or MDs, were also developed along the same concept and continued to be popular. According to a report by Sony, it had shipped out a cumulative total of 220 million personal tape players and 120 million personal CD players by 2009. By expanding the range of uses for Compact Cassette machines, Japan began to lead the world in tape recorder technology and products. As the age of digitalisation approached, Japan was in a position to spearhead the development of technology and determining of policies. While digital audio technology, with its ground-breaking sound quality capabilities, radically altered the face of audio products, it was tape recorders that paved the way for digitalisation. Business-use tape recorders improved dramatically in performance; these were used for recording high-quality master copies of music content. This contributed greatly to the creation and development of the CD. Chapter 14 recounts the history of development of the Digital Audio Tape-recorder (DAT). The consumer-use DAT was the ultimate tape recorder system, achieving a level of performance that had not been possible in the analogue era on a cartridge smaller than the Compact Cassette. This was the result of a winning combination between Japan’s precise mechatronics and semiconductor technology and its ability to develop basic components, such as tape heads – a skill learned and refined during the competitive development of Compact Cassette machines. Digital audio afforded a greater degree of freedom in signal processing than analogue. The compression process meant a reduced volume of media; it was also possible to transfer music data without the use of storage media. The beginning of the chapter mentions that the modern style of listening to music came about through the development of digital technology. While the role of the tape recorder has been taken over by recording devices with hard disks or semiconductor memory, in terms of the way in which music is appreciated, there has been no change in the basic concept embodied in the Walkman. Just as the Compact Cassette “headphone stereo” revolutionised the way in which people listened to music, the hope is that Japan’s development and product planning capabilities will transform digital audio with a new breakthrough that will offer users unexpected, new experiences and enjoyment. The author received invaluable materials and information from many sources when preparing this “Systematic Examination of Tape Recorder Technology” report. The author is very grateful for having been able to ask contributors for more detailed descriptions and accounts and expresses his heartfelt gratitude to the following people in particular. 1 TPS-L2, the first Walkman 1979 Sony Archives On display The world's first "headphone stereo". The combination of a dedicated playback tape recorder and lightweight headphones drastically changed the way in which people all over the world listened to music; the good sound quality and the concept of listening to music anytime, anywhere was especially appealing to young people. The pet name "Walkman" was even accepted into the Oxford English Dictionary. 2 G model open-reel tape recorder 1950 Sony Archives On display Japan's first domestically-produced open-reel tape recorder for home use. There were two types: the A type, with a limiter (limiting amplifier) and the B type, without a limiter. The tape was developed at the same time and consisted of iron oxide on a paper base. 3 SP-10, the world's first direct-drive turntable 1970 Panasonic Museum On display The world's first record turntable system to have a DC direct-drive motor developed and incorporated into it. It incorporated control technology for slow rotation speeds and became the basis for direct drives in other AV equipment. 4 TC-50, a handheld Compact Cassette recorder 1968 Sony Archives On display A small-scale tape recorder with an inbuilt microphone capable of being operated with one hand. This model maximised the small size of the Compact Cassette and was used by the crew aboard the Apollo 10 spaceship. 5 RQ-303 MySonic, a small-scale, battery-operated, open-reel tape recorder 1963 Panasonic Museum On display A small, battery-operated tape recorder for home use, with a dedicated reel called the No. 4 and a tape speed of 4.8cm/s. Its piano-key buttons made it very easy to use. It went on sale at a price of ¥10,000 at a time when popular-model, home-use machines were being sold for around ¥20,000. It became very popular and took a large share of the market. 6 PCM-1, the world's first PCM processor for consumer use 1977 Sony Archives On display An audio unit enabling PCM digital recording and playback at home in connection with home-use VTRs in the Betamax and U-matic formats. The harbinger of digital audio, giving consumer machines an ultra-high quality of sound that would have been difficult to achieve with analogue technology. Priced at ¥480,000. 7 "Cassette Densuke" TC-2850SD, a portable stereo recorder 1973 Sony Archives On display A battery-operated, portable stereo tape recorder capable of recording in stereo. Used Dolby NR and other features to achieve a level of sound quality rivalling that of ordinary tape decks. A popular model with an inbuilt microphone amplifier, playing a major role in starting the "live recording boom". Priced at ¥52,800. 8 RS-275U, the world's first Compact Cassette deck with a direct-drive motor 1970 Panasonic Company History Office In storage The world's first high-level cassette deck with a direct-drive capstan motor. Improved tape feed precision improved factors such as wow and flutter; this contributed to the improved performance of later Compact Cassette machines. February 2006: Representative Director of Start Lab, Inc.